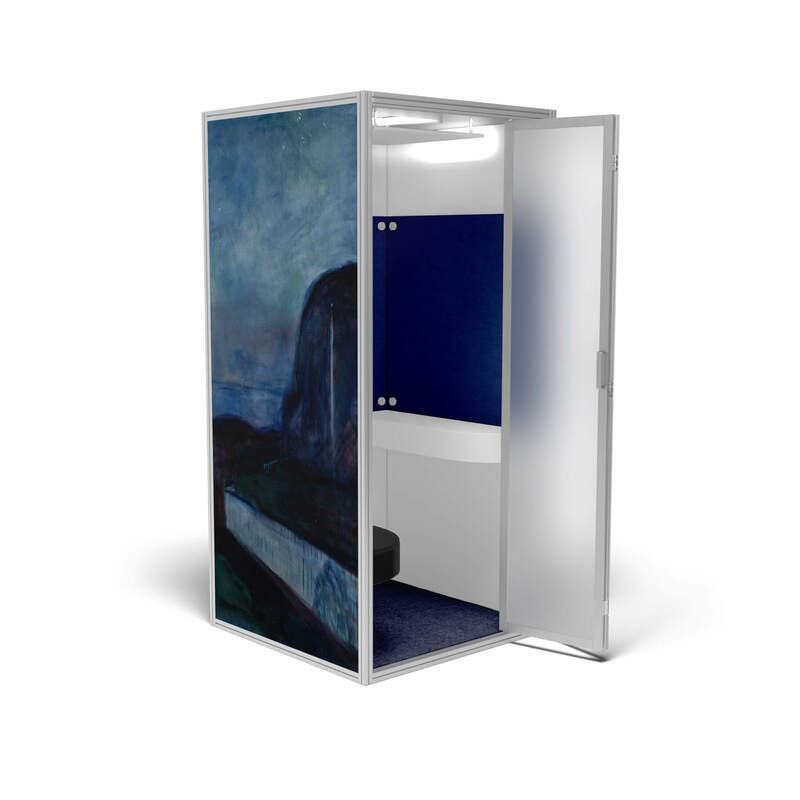 Cubicall Munch Starry Night features Edvard Munch’s famous painting, Starry Night, printed on the outside wall, with blue acoustic panels, black vinyl leather, and nebula blue carpet. Starry Night digital image courtesy of the Getty’s Open Content Program. 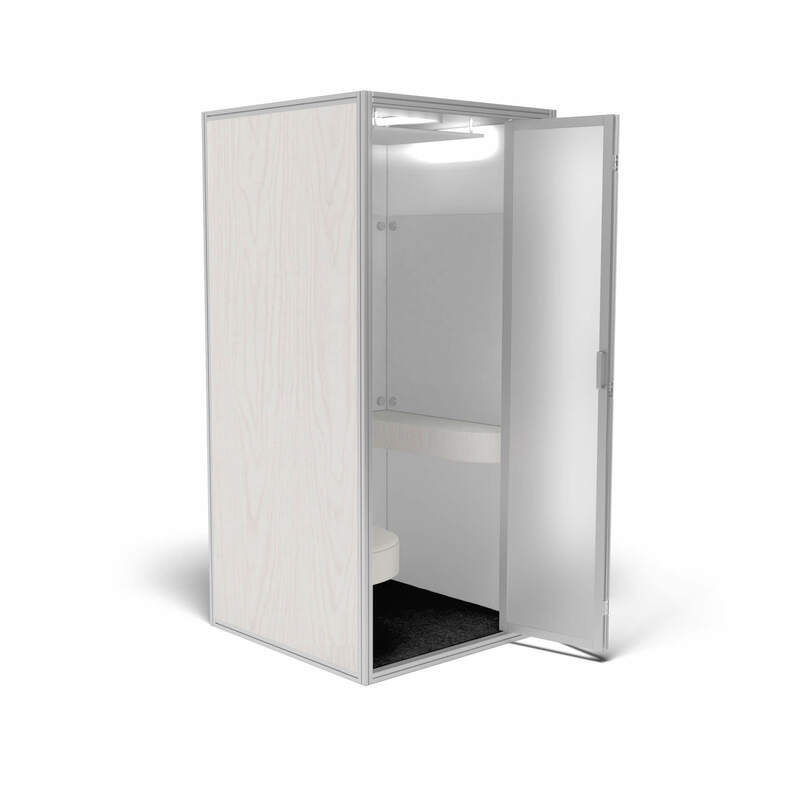 The Cubicall One comfortably fits two persons inside. 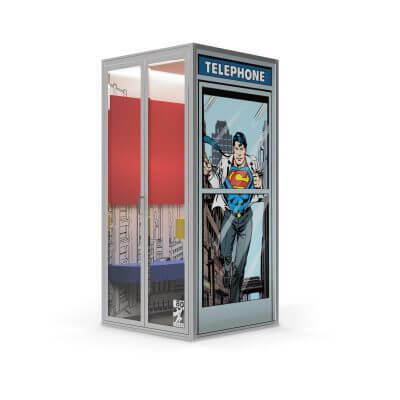 With a footprint less than 42” x 42” and standing under 8 feet high, the bi-folding door helps Cubicall fit in smaller offices where every inch of space is critical. 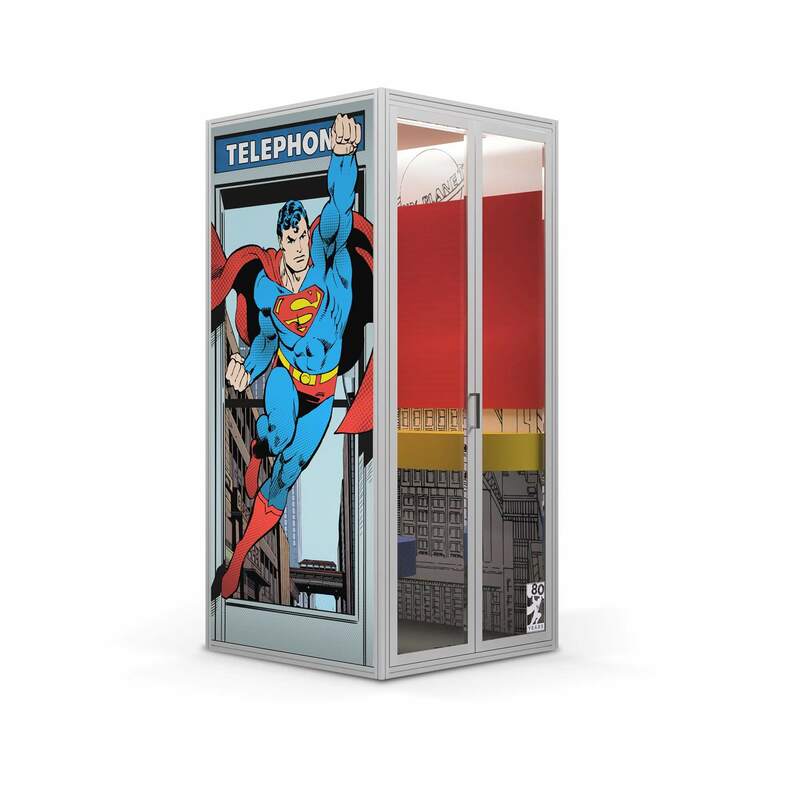 This modern phone booth ships with all the essentials including: Two USB outlets, 120-volt outlet, Ethernet connection, automatic LED lights, and built in fan. 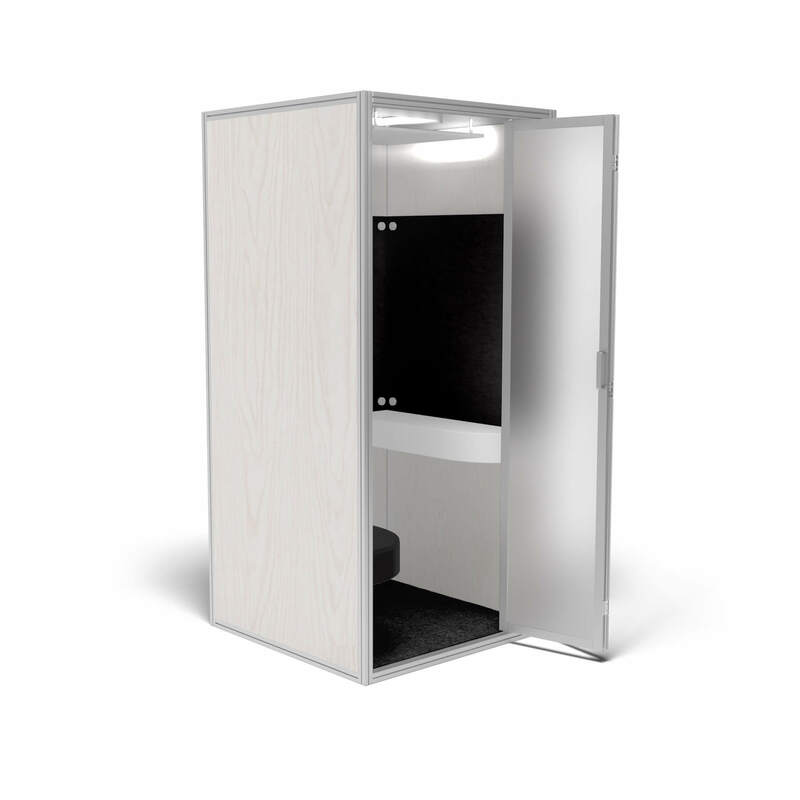 Cubicall ships flat and takes 45 minutes or less to set up and start using!